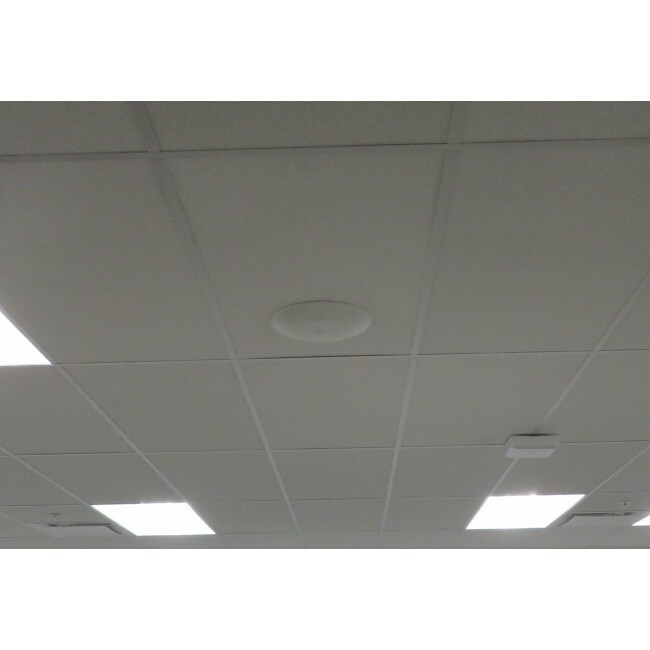 The Galtronics S5606i omnidirectional ceiling-mounted dome antenna combines high performance with an ultra-slim design that works well wherever aesthetics are important. 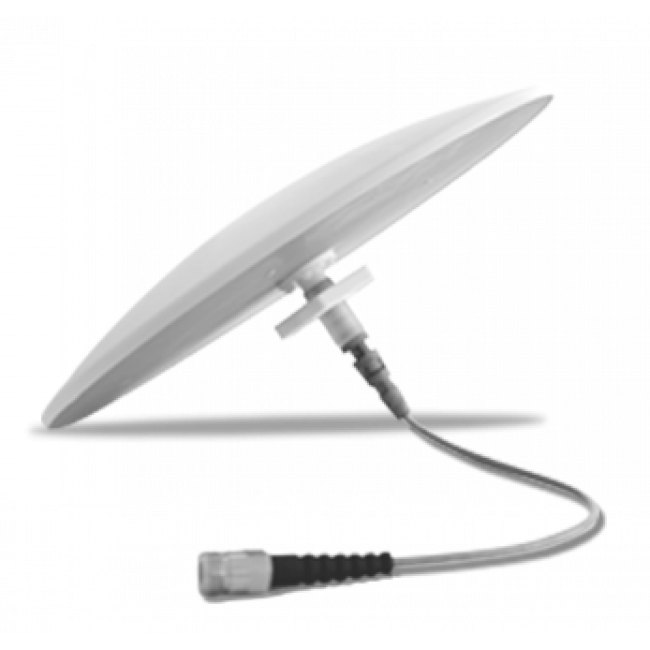 The Galtronics PEAR S5606i is the perfect inside antenna for your office, home, or any other environment where you need cell coverage but you also care about how the installed system looks. 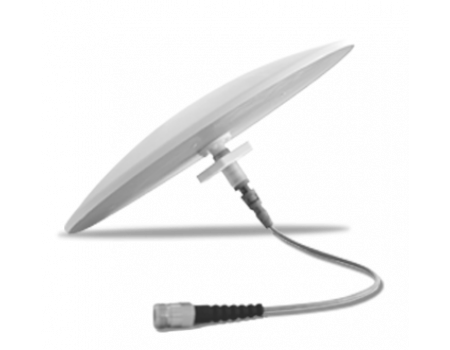 The S5606i is an ultra-thin dome antenna that's just 1.2 inches thin below the ceiling and a diameter of 12 inches. The thin design hides a very powerful antenna with a max gain of 3.2 dBi over the 700 & 800 MHz frequencies and 7.4 dBi over the higher PCS and AWS frequencies. This extra power means that upgrading from a standard gain dome to the S5606i will result in a larger coverage area. The Galtronics PEAR S5606i is a ceiling-mount dome antenna and comes with the hardware needed to mount the antenna wherever you have access to the back side of the ceiling. This includes drop ceilings with ceiling tiles or a hard ceiling where you have an attic or other access above the ceiling. The antenna cannot be mounted vertically on a wall. An optional hard ceiling antenna mount is available separately for areas where you can run a cable above the ceiling, but do not have access to the backside of the ceiling to mount the antenna using the included hardware. The S5606i comes with a 17" plenum rated pigtail with an N-Female connector, so you can use this antenna in plenum environments. 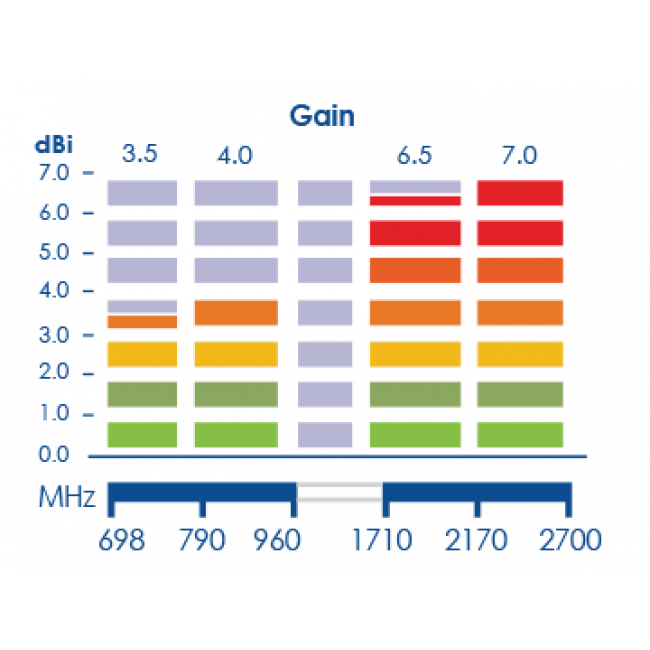 The S5606i is low-PIM rated to minimize Passive Intermodulation interference and ensure optimal performance. The antenna can be painted to match any ceiling color using any paint that can bond to plastic and does not contain metal.